Expanding its endeavor to promote linkages with academia, Pakistan’s leading financial institution, Bank Alfalah Limited (BAFL) has entered into a strategic partnership with yet another prestigious business education institution, Institute of Business Administration, University of Punjab (IBA-PU). The agreement comes as an extension of Bank Alflalah’s recent endeavor for strengthening industry and academia by promoting mutual cooperation for creating and imparting relevant, effective and new forms of knowledge and expertise. The agreement was signed by Ahmed Nauman Anees – Head, Learning and Development Division, Bank Alfalah, Prof. Dr. Zafar Moeen Nasar – Vice Chancellor, University of Punjab and Mrs. Sajida Nisar- Incharge Director, Institute of Business Administration, University of the Punjabin presence of executives and high officials from both institutions. Mrs.Sajida Nisar – Incharge Director, Institute of Business Administration, University of the Punjab, expressed her gratitude and said:“This agreement aims at creating a favorable learning environment for students of IBA – PU and Bank Alfalah employees through a range of joint ventures. 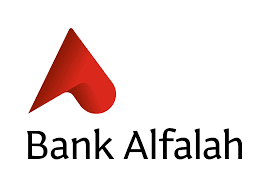 Bank Alfalah will provide experiential learning opportunities to IBA-PU students to help them prepare for their future careers in the industry. Both the institutions will design, develop and execute joint seminars, guest lectures and workshops whereas BAFL will partake or may sponsor campus events, sports galas etc. at IBA-PU. BAFL will also extend its expertise to assist IBA in designing and developing customized executive development programs, conducting mock interview of students and establishment of Islamic Finance Centre and Entrepreneurial Cell at IBA premises. Moreover, IBA students will be part of BAFL’s Project Internship Programs and the high achievers will receive Gold Medals from Bank Alfalah.In return, IBA–PU will facilitate BAFL through IBA labs and equipment for training and recruitment purposes”. Commenting on the development, Prof. Dr. Zafar Moeen Nasar – Vice Chancellor, University of Punjab, said: “We thank Bank Alfalah for its efforts to promote cohesion between the industry and academia. The arrangement will help both sectors work in close coordination for accomplishment of shared goals. Above all, the joint ventures will go a long way in capacity building of our students and BAFL employees, so that they are able to play their role more effectively. By materializing the agreement, Bank Alfalah and IBA-PU will be able to set a right precedent for imparting quality business education in Pakistan and prepare professionals who are able to induce efficiency and productivity to the industry and create value for the country in the long run.